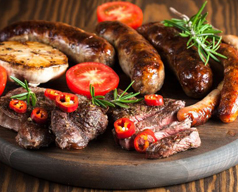 As a leading online meat shop, Tip Top Meat is proud to be able to offer some of the highest quality meat available, and doing so at affordable prices with fresh meat delivery. 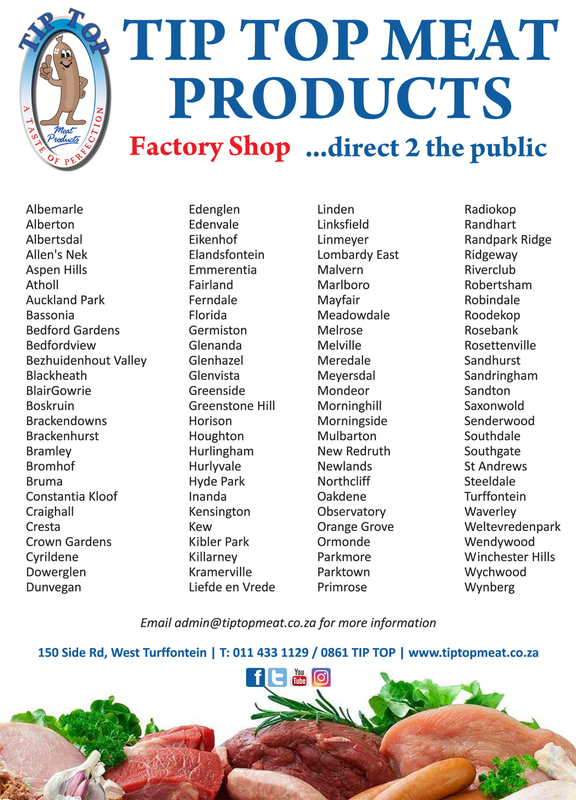 No matter what you’re looking for, our offerings extend towards a wide range of products. 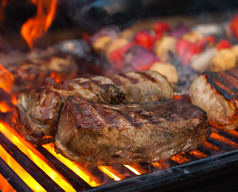 As an online meat shop, we prefer to provide as much variety to our customers as possible. Beef. The finest cuts, the greatest taste. 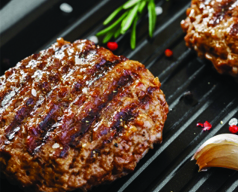 Tip Top Meat can offer beef for every occasion. 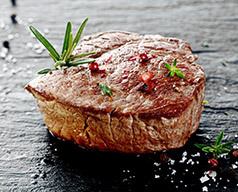 If you’re looking for fillet, roast, steak, or otherwise, we offer all this and more. Chicken. 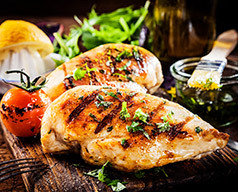 Our online meat shop stocks a range of chicken products, available for purchase and delivery. Breast fillets, drumsticks, chicken wings, livers, and more. Every kind for every taste. Lamb. We have a multitude of lamb meat offerings available. 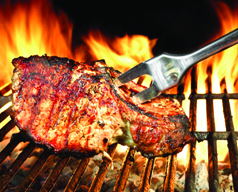 Chops from the leg, loin, and shoulder are available, as well as lamb for stew and more. Pork. 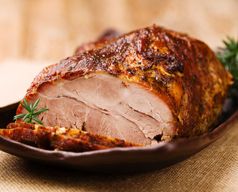 We have high quality pork products to suit every taste and preference. 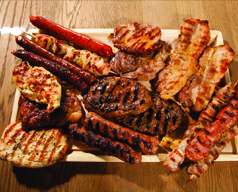 We are well stocked with fillet, loin, ribs, rashers, and more. Sausages. 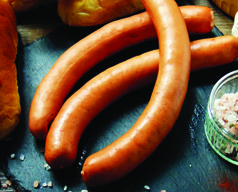 We stock sausages made from meat of all types. 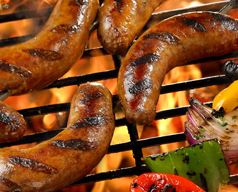 Our online meat shop is able to provide sausages made from beef, chicken, pork, alongside boerewors. Additionally, we provide a Pimp my Worsie option, in which you choose your own toppings that can be added to our boerewors. Hampers & More. Want even better value for money? 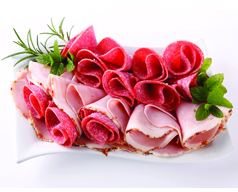 Tip Top Meat provides well priced hampers packed with all kinds of meat, giving you the best price to weight ratio. 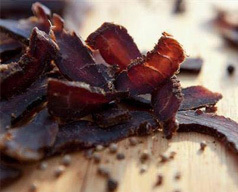 We also provide other products, such as droewors and biltong. 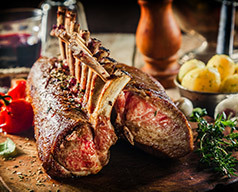 Rest assured, Tip Top Meat can provide for whatever meat you’re looking for, and for whichever occasion you are looking to cater for, with our outstanding fresh meat delivery service available to get your order straight to you, as quickly as possible. *Please note FREE delivery for orders above R800-00. Orders below will be charged R70-00 delivery on checkout. *For more information on HOW TO ORDER, please click here. *Please check your order on delivery.